Indie studios Amanita Design, Colibri Games and Daedalic Entertainment have published a joint complaint about missed payments and other misconduct at U.K.-based publisher Lace Mamba. In January, CBE Software accused publisher Lace Mamba Global of breach of contract for failing to pay royalties on its games J.U.L.I.A. and J.U.L.I.A. Untold over a ten month period. Lace Mamba said in response that it wasn't aware of any problems prior to the press release detailing the complaint, and claimed that it had tried to contact CBE in order to "resolve this issue amicably" but had been unable to do so. It had all the appearances of a classic "he said/she said," but now three other developers have come forth to make similar claims of their own. In a Gamasutra Blog post, Jakub Dvorsky of Amanita Design, Andrey Arutyunyan of Colibri Games and Sergei Klimov of Daedalic Entertainment detailed how their studios ran into very similar issues with Lace Mamba and Mamba Games Ltd. and warned others "not [to] make the mistake of working with a group of people who are known for systematically not fulfilling their obligations toward development studios." In a period running from November 2009 to April 2011, Amanita, Daedalic and Colibri signed deals with Lace Mamba and/or Mamba Games, allowing them to publish and distribute games including Machinarium, Deponia, The Whispered World and The Tiny Bang Story, "in certain territories on the condition of a minimum guarantee to be paid, followed quarterly reports and royalty payments." "Following the execution of the contracts and delivery of game masters to Lace Mamba Global Ltd., neither Colibri nor Daedalic have received the full amount of the minimum guarantees that Lace Mamba Global Ltd. agreed to pay in their contracts with the studios," they wrote in the open letter. "At the same time, neither Amanita nor Colibri nor Daedalic received from Mamba Games Ltd. and Lace Mamba Global Ltd. the royalty reports that have been due under the contracts on a quarterly basis. We found ourselves in an uncomfortable position of having a third party exploit the results of our creative work in a totally uncontrolled manner where we did not know when, how and with what result our products were being manufactured and sold into the market." During the 2012 Game Developers Conference, Amanita and Daedalic also discovered that Mamba Games and Lace Mamba were distributing their games in regions in which they had no right to do so. "In some instances Mamba Games Ltd. went so far as to sell to the local distributors the right to manufacture our games for a flat fee, not only collecting such revenue in breach of our rights, but also damaging our games with a model that we would have never agreed to in the first place, no matter who would be offering it," Dvorksy continued. The studios eventually decided to terminate their contracts with Mamba Games and Lace Mamba. Daedalic and Colibri sent official letters of termination to Lace Mamba Global, although in "later conversations" the company claimed that it had never received the letters despite the fact that they confirmed receipt when the letters were delivered, and that the company's email system was down on the day copies were forwarded through email, even though the emails were also successfully reported as delivered. After CBE Software went public with its complaints in January, the three studios took one more run at it and actually had some success: Lace Mamba Global has paid all its outstanding debts to CBE and Daedalic, as well as what was left of the minimum guaranteed to Colibri, and also returned or agreed to return all unsold Colibri and Daedalic games that it still possessed. Amanita Design was not so lucky, however, as Lace Mamba Global CEO Adam Lacey told the studio that Mamba Games and Lace Mamba are in fact two separate companies, and that Lace Mamba is not responsible for paying Amanita Design or for supplying the quarterly reports as agreed in the contract. This is in spite of the fact, according to the letter, that some of the payments owed by Lace Mamba Global were actually made by Mamba Games, and that some authorized copies of Machinarium bear the Lace Mamba Global logo and not that of Mamba Games. "Of significant interest is also the fact that the boxes of Amanita's Machinarium, illegally and without any approval released in retail in Poland and in Sweden, bear the logo of Lace Mamba Global - even though Mr. Lacey claims that Lace Mamba Global is 'just a sub-distributor' of the game, while Mamba Games Ltd. is the original publisher," the trio wrote. "Mr. Lacey could not explain the reasons as to why Mamba Games Ltd., a publisher, would not place its logo on the box of the game, but would rather place a logo of its sub- distributor - both of these entities conveniently headed by the same person." 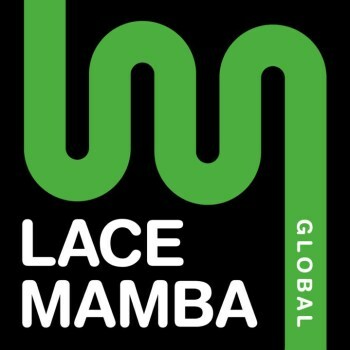 In a statement issued today, Lace Mamba Global acknowledged that there have been "issues" with some developers and also disavowed some of the actions of Mamba Games, which partnered with Lace International to form Lace Mamba Global in 2010 but also continued to trade as an independent entity. "Where Mamba Games product has been sold to other territories, this was done directly by Mamba Games, selling Lace Mamba Global-branded product to international distributors for which Mamba Games were paid directly. Lace Mamba Global recognize that Mamba Games (Jason Codd) pre-existing contractual obligations are not being met and we will do all we can to help developers to ensure Mamba Games are held to account," the company said. "Lace Mamba Global also recognize that there have been some reporting and accounting issues in the past which we are actively working to resolve," it continued. "We are pleased that those companies who we have been working closely with over the past few days have acknowledged that we have resolved their outstanding issues and we continue to work with and contact our other partners to ensure all of Lace Mamba's contractual obligations are being met in full." Whether that will be enough to head off legal action by Amanita Design remains to be seen, and in the meantime the studios are warning other developers to be careful about who they sign with and send their master discs. "Once the master is out of one's hands, unexpected things may happen," they continued. "We stay united in our disapproval of the business practices described above and we hope that our experience prevents other developers from making similar mistakes."